There can be various reasons for a person to seek reconstructive surgery, from areas effected by cancer, injuries or burns. 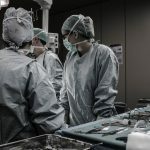 As far as Reconstructive surgery goes, it is a much more complex piece of surgery, than standard cosmetic procedures, because it involves the reconstruction of already damaged parts of the body. This is one of the most common forms of surgery administered to patients involved in accidents or having suffered from different cancers. Therefore, the surgeon performing the surgery will be incredibly experienced and qualified in such field. Cosmetic Loans is here to provide people all over the UK with the funds necessary to be able to have such life changing surgery. We work with the UK’s top panel of lenders, offering the best services to the clients in the most efficient manner. Reconstructive surgery is also very costly, insurance companies do not always cover the costs, leaving funding up to the individual. Cosmetic Loans can source a Reconstructive surgery loan for you at the rate of interest based on your personal credit history. We ensure the process is quick and easy, you can even be approved within 24 hours. Loan applicants are then free to proceed with surgery with the recommended surgeon of their choice. You may use the loan for the entire surgery, or as a contribute to your own financial plan. Simply provide information in an efficient and truthful manner and the process will be very quick and simple. The use of monthly repayments means you are under no pressure to produce the funding upfront yourself. Simply apply with us, fund your dream procedure and pay off your loan with monthly repayments agreed with you by our lenders. We even offer loan to people with more adverse credit, who may be declined for traditional cosmetic finance. We will not turn away loan applicants in this criteria, this is one of our unique selling propositions which is highly appreciated by our clients. With rates starting at 3%, zero deposit and the ability to borrow £2,000 to £100,000, we aim to provide you with the opportunity to achieve your desired look. To proceed with Reconstructive surgery loans, the clients can apply online, as well as over the phone. Simply fill in the form, talk with our sales advisor and after verification of the form with our lender, the loan is approved. After discussing the best rates and terms available to you, you will receive the funding for your surgery. Reconstructive surgery can be very personal and hard on a patient, the surgeries often take multiple hours and sometimes numerous surgeries are needed. 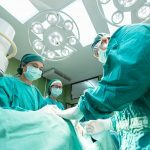 Due to this, surgeries can cost up to as much as £25,000 or more, because of all the time and detail involved in reconstructing a damaged part of the body. At Cosmetic Loans we aim to put your mind at ease and take care of the financial aspect of your surgery, simply apply online or over the phone and our experienced customer service team will walk you through the whole process. 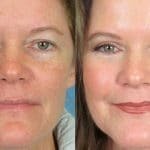 Why Is Important to Take Blepharoplasty Surgery Loans? Why opt for a Cosmetic Surgery Loan? Licensed Credit Broker. All finance is subject to status and income. Written Quotation on request. Cosmetic Loans can introduce you to a limited number of finance providers based on your credit rating and we will receive a commission for such introductions.